SampleStorm: Free Garnier Whole Blends Honey Treasures sample! 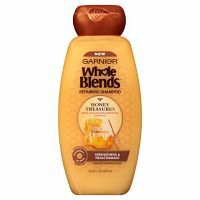 Click through to the next page and fill out the form to order your free Garnier Whole Blends Honey Treasures shampoo sample! Has this sample expired? If so, email us at support@samplestorm.com. Thanks!